Dorji / Damon / Rasmussen at the Hideout, Chicago. Photo by Julia Dratel. 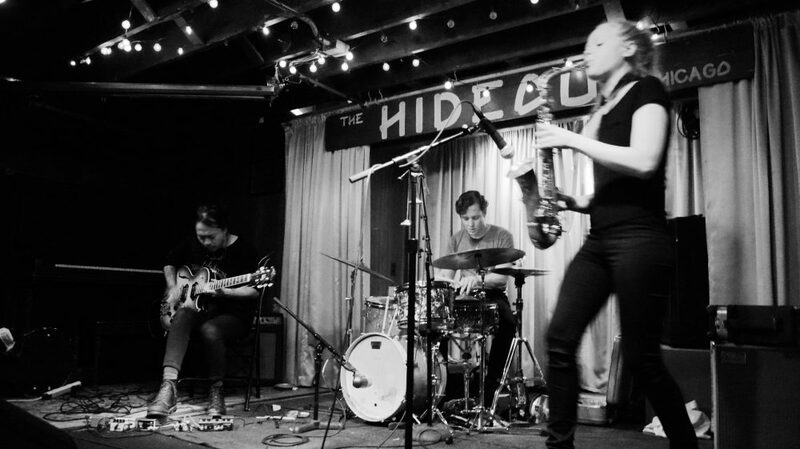 Feeling fantastic after a series of dates with Tashi Dorji & Mette Rasmussen in mid-March; our hit at Chicago’s Hideout on the 18th marked my first night as a Chicago resident – thank you for the warm welcome! This move is something I’ve considered for a long time and I’m elated to ponder the potential of this decision. I also enjoyed a few solo dates opening for my Baltimore/DC comrades Heart of the Ghost in Indianapolis and Bloomington as well as a two-set quartet happening at the nearly-30 year-running Jazz Fables series at Bear’s Place in Bloomington with NYC’s Michael Eaton and Bloomington’s Kyle Quass & Jeff Greene.